Fathom – Can Israel remain secure in a world of Arab disintegration, American retreat, and Iranian ambition? Fathom > Spring 2016 > Can Israel remain secure in a world of Arab disintegration, American retreat, and Iranian ambition? Can Israel remain secure in a world of Arab disintegration, American retreat, and Iranian ambition? 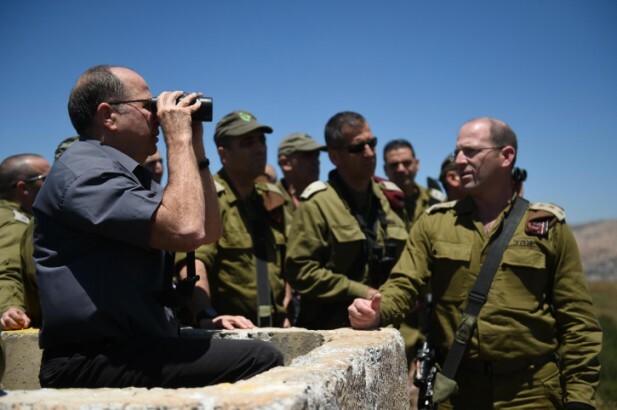 Israeli Minister of Defense Moshe Yaalon in the Golan Heights on 30 June 2015. Eden Moladavski / Ministry of Defense. In a comprehensive and clear-sighted survey Fathom deputy editor Calev Ben-Dor assesses the implications of regional disintegration for Israeli security and the peace process. He maps a region beset by fractured, dysfunctional states experiencing an erosion of control over their sovereign borders and a steep increase in ethnic and religious tension. He argues that the consequence of the US preference to reduce its regional commitments has been the rise of malign actors: a resurgent Russia, a regionally ambitious Iran and emboldened sub-state actors such as Hezbollah and Islamic State. These forces have partially filled the vacuum created by US retreat. In short, absent internal or external powers willing or capable of establishing order, chaos and instability look set to remain a fact of life in 2016. Israel is confronted with a complex strategic environment that involves deterring radical sub-state actors on its borders, countering Iran and its proxies, maintaining its special relationship with the US and ensuring good working relations with Russia. It is also facing low level violence in the Palestinian arena that has become increasingly difficult to manage and may well escalate during the coming year. Moreover, whether Mahmoud Abbas’s rule ends in 2016 or not, ‘the day after’ will be a leap into the unknown for the Palestinians and for Israeli-Palestinian relations. Opportunities are presented by increasingly converging interests between Israel and the Gulf states while Israel’s energy reserves, coupled with Turkish concern at its own regional situation, may facilitate renewed normalised relations between the two countries in 2016. There are six interlocking regional trends which are creating a new and dangerous security environment for Israel: fractured, dysfunctional, weak states with eroding borders; the rise and strengthening of sub-state actors; US retrenchment; Russia’s return to the region; Iran’s post-nuclear deal regional ambitions; and mass refugee movements. Fractured, dysfunctional, weak states with eroding borders. While the extent to which the crumbling of Iraq and Syria constitutes the collapse of the ‘Sykes-Picot’ era is unclear, the Middle East of 2016 is undoubtedly one in which states are experiencing an erosion of control over their sovereign borders. Iraq has been virtually partitioned into three distinct parts. Libya and Yemen also face state failure, while the Egyptian Sinai peninsula has become a haven for extremist groups. Meanwhile, the Assad regime maintains control over only a small part of Syria and Lebanon is experiencing particularly difficult governance challenges. An upsurge in Sunni-Shia sectarian clashes and division along ethnic fault lines intensifies these issues. The rise and strengthening of sub-state actors. Filling the vacuum of state failure, border erosion and ethnic tension are sub-state actors, increasingly possessing some trappings of statehood, such as control over territory, the ability to tax and provide services and the capacity to deploy significant military forces. The most notable examples of this phenomenon are Islamic State in Iraq and Syria (ISIS), Hezbollah in Lebanon and Hamas in the Gaza Strip, as well groups in Yemen and Libya. ISIS boasts its own capital, independent revenue from trafficking, kidnapping, oil transactions, archaeological sales and taxes, and has also successfully mobilised the largest volunteer force of Sunni foreign fighters in recent history. It claims ideological affiliates in Sinai, Yemen, Libya, South Asia and elsewhere, and during the past year has been linked to several international terror attacks in Ankara, Paris, San Bernardino and the blowing up of a Russian passenger plane. Another significant non state power is Hezbollah, a Shia militia based in Lebanon which is a political party and social movement while simultaneously possessing a formidable military capability. Serving as Iran’s proxy, Hezbollah is deeply invested in the Syrian quagmire and has prioritised maintaining Assad’s rule, sustaining a presence of over 5,000 fighters on the ground. US Retrenchment. The American response to the challenges in the Middle East has primarily been characterised in recent years by a reluctance to commit, leaving the effort to defend what have typically been considered ‘Western interests’ half-hearted and uncoordinated, indicative of what Ian Bremmer coined the G-Zero world. Despite the Obama administration’s recent decision to establish a new specialised military unit of about 200 service members, its opposition to significant involvement in Iraq or Syria coupled with its ambivalence in supporting the Syrian non-jihadi opposition, and its rejection of air strikes against Assad in the aftermath of his chemical weapons use, reflects strategic retrenchment away from its prior intimate involvement in the Middle East. The Obama administration is unlikely to significantly reverse this trend in its final 12 months, but the wisdom and consequences of Obama’s approach will be a subject of foreign policy debates in the Presidential campaign. The next American President will have to cope with a region where traditional Western allies – such as Saudi Arabia, Egypt and others – have diminished faith in the readiness of the US to act to preserve their security. Russia returns to the region. Partially motivated by its traditional support for Assad and concern regarding the rise of Islamic extremism, and facilitated by the opportunity presented by the seeming ambivalence of the Obama administration response to the Syrian crisis, Russia deployed into the Syrian vacuum in September 2015, putting its own military behind its commitment to support the pro-Assad axis including Iran and Hezbollah. While officially focused on the rise of ISIS, Russia has so far concentrated most of its fire on non-ISIS, Sunni rebels, variously backed by the US, Saudi Arabia, Turkey and Qatar, thus weakening any potential alternative to either Assad or ISIS. Russia’s direct military commitment to sure up its allies constitutes a new strategic paradigm in the Middle East which will have significant implications for the balance of power and the rivalries in Syria’s civil war. Iran’s post-nuclear deal regional ambitions. The nuclear deal between Iran and the P5+1 intentionally stressed the separation between the nuclear and non‐nuclear fields. Indeed, the West appeared to avoid robust action to counteract Iran’s aggressive meddling in regional conflicts (and its domestic human rights abuses) during negotiations for fear of undermining any potential agreement. However the months following the deal suggest that Iran’s willingness to temporarily roll back its nuclear program is contingent on the deal empowering its conventional military, political and economic strength and power projection. In October, Iranian Defence Minister Hossein Dehgan confirmed the successful test of the Emad (pillar) precision-guided surface to surface missile which has a range of over 1,000 miles and can deliver a 750kg payload while the following month Iran tested the Ghadr-110, which has a range of 1,200 miles, and is capable of carrying a nuclear warhead. Both tests were in contravention of UN Security Council resolutions. Despite recently downsizing its ground forces in Syria due to heavy losses, Iran has increased its defence budget by 30 per cent and Iraqi, Pakistani and Afghan Shiite militias under Iranian Revolutionary Guards advisors and commanders are fully engaged in the war. For Iran, Assad’s remaining territory in Syria constitutes a vital conduit for feeding and replenishing Hezbollah’s huge rocket arsenal. Iran appears determined to continue its support for terror groups in Gaza and Yemen and exercises excessive influence over the government in Baghdad. Mass Refugee Movements. The conflicts in the Middle East, primarily in Syria, Iraq and Libya, have led to the displacement of millions of people and mass population movement both within the region and outside. UNHCR estimates that there are as many as four million Syrian refugees, many of whom have taken refuge in Turkey, Jordan, and Lebanon while over one million migrants and refugees arrived in Europe in 2015 (four times higher than 2014) – a large majority from the Middle East. With little prospect of the Syrian war ending in 2016 – despite increased diplomatic efforts – the flow of refugees looks set to remain a source of instability. The West meanwhile has struggled to develop a coordinated policy as to how to deal with these multiple crises in a unified way issue. The Long Term Structural Trends – Demography, Water & Energy. Additional structural trends in birth, death and migration have altered the absolute and relative size of young and old, rural and urban, and ethnic majority and minority populations within and among emerging and established powers, and pose severe challenges for Middle East societies. Alongside other developing geographical areas, the region suffers from a ‘youth bulge’ that increases the threat of instability and violence within states. Projections suggesting that by 2030, 106 million people between the ages of 20-29 will be entering the workforce compared to the current figure of 96 million. While this theoretically provides an opportunity for economic development and growth, it also constitutes a great societal risk if no gainful employment can be provided. Meanwhile, if current estimates regarding population growth and climate change continue, the Middle East is set to suffer from severe water scarcity, with the resultant potential for additional strain in regional relations. Concurrently, the discovery of major gas fields in the Levant Basin of the Eastern Mediterranean has the potential to transform the energy outlook for some countries in the region, creating significant economic opportunities for players including Israel, Egypt, Turkey, and – if political circumstances improved – also the Palestinians. It is within the constraints imposed by these regional trends that Israel must respond to eight security challenges: the threat from sub-state actors – ISIS and Hezbollah, dealing with the ‘No Man’s Land’ in the Sinai and Golan, countering Iranian regional hegemonic ambitions, maintaining momentum in the Palestinian arena, resetting US-Israel relations, responding to the consequences of Russian regional involvement, instability in Jordan and Lebanon, and securing renewed Israel-Turkish ties. Deterring the threat from sub-state actors – ISIS and Hezbollah. Israel is not ISIS’s primary focus and security officials assess ISIS’s direct threat to be relatively low. However, conquering Israel numbers among the group’s long-term goals, with Jerusalem playing a significant role in its rhetoric and Israel (referred to simply as ‘Jews’) included in ISIS’s map of enemies in its propaganda videos. In October 2015, ISIS issued a series of threats against Israel, releasing a video in which one of its (Hebrew speaking) jihadi militants threatened to attack Israelis and promised that ‘soon there will not be one Jew left in Jerusalem.’ Moreover, in late December, ISIS leader Abu Bakr al-Baghdadi released an audio recording warning that his forces will ‘soon meet [the Jews] in Palestine’ and that ‘the leaders of the jihad fighters will surround you on a day you think is far, but we see it as close. We are coming closer to you day by day.’ Concern exists that as ISIS comes under greater pressure, the group may try and attack Israeli targets or Jewish communities abroad. Israeli military chiefs are also preparing for the possibility that Russian air strikes will push ISIS forces closer to Israel’s borders from their current strongholds. A more serious and immediate threat to Israel comes from the Iranian sponsored Shia organisation Hezbollah. The group is currently focusing its time, energy and manpower supporting Assad in Syria. However it possesses more than 100,000 short-range rockets capable of striking northern Israel, as well as several thousand missiles that can reach Tel Aviv and central Israel and hundreds more that can strike the entire country and which are hidden among the Shia civilian population in southern Lebanon. A conflict with Israel – while unlikely in 2016 – would cause huge damage to both sides, and security officials believe Hezbollah may even attempt to capture some towns in Northern Israel. Although Hezbollah is signalling its priorities lie elsewhere, the possibility of escalation does exist, specifically in the aftermath of border skirmishes or as a response to Israeli actions against weapons transfers and Iranian-Hezbollah activities in the Syrian Golan. ‘No Man’s Land on Borders’ in the Sinai and Golan. In both the south and north Israel is threatened by Islamist organisations that have emerged in the vacuum generated by state weakness. Across Israel’s 240km border with the Sinai Peninsula is the ISIS affiliated organisation ‘Wilayat Sinai’ (formerly Ansar Bayt al-Maqdis), which in 2014 pledged allegiance to the ISIS ‘caliphate’. The group is primarily concerned with fighting Egyptian regime forces and local opponents although it has periodically fired rockets at southern Israel. Indeed, security officials fully expect ISIS affiliates in the Sinai to escalate attacks against Israel in the future. Israel actively supports Egyptian efforts to contain these groups, including with intelligence and by allowing Egyptian deployment of forces in the Sinai which exceed the quota allowed by the Israel-Egypt peace treaty, although disagreement exists as to Egypt’s capacity to fully defeat ISIS affiliates. In Syria, meanwhile, several organisations and groups devoted to militant Sunni Islam, Salafi jihadism or the global jihad movement are currently prioritising the fight against Assad but may turn their attention (and guns) towards Israel. One group already in the Syrian Golan is ISIS affiliated Shuhada Al-Yarmouk, which controls a 15-kilometer stretch of land around the triangular point where the Syrian, Israeli and Jordanian borders meet and which is thought to possess tanks, armoured personnel carriers and other sophisticated weaponry seized from Syrian army troops. Another group present in the area is Syrian Al-Qaeda affiliate Nusra Front. Israel has so far deterred these groups, but concerns exist that were they to successfully cement control within the Golan, the threat of attack would grow considerably. Countering Iranian regional hegemonic ambitions. Broad consensus exists in Israel that the nuclear deal is bad news, since it empowers Iran in the short term by lifting sanctions and allows Tehran to become a nuclear threshold state in the future. Some Israeli analysts expect the Islamic Republic to cheat on the deal and caution Israel to prepare for such an outcome. Others argue that the more likely scenario is Iran waiting patiently for sanctions relief and strengthening its economy, before gaining international recognition for its status as a nuclear threshold power when the deal expires. Many fear that once international sanctions are lifted it will be difficult to re-impose them even if Iran is caught cheating on the deal. The short term threat posed to Israel comes from a regionally resurgent Iran in the Syrian Golan – where together with Hezbollah, Iran is attempting to create an active ‘resistance front’ against Israel – via Hezbollah in Lebanon, or through jihadist groups in Gaza. Furthermore, the decision by Western powers to prioritise the threat of Sunni extremism in the form of ISIS, (which may even include considering Iran a partner in dealing with this threat), poses an additional challenge for Israel in countering Iran. Israel is not alone in its threat perception of Iranian regional hegemony. Sunni Gulf states, including Saudi Arabia, share a common interest with Israel in minimising Iranian influence. Saudi Arabian and Iranian interests collide in Lebanon, Syria, Iraq and Yemen. Saudi Arabia and other Gulf states, especially Bahrain, fear Iranian attempts to fuel unrest among Shia populations within their borders. Iranian tensions with Saudi Arabia rose to new levels following the January 2016 Saudi decision to behead Shia cleric Nimr al-Nimr and the subsequent attack on the Saudi Embassy in Teheran by an angry mob. These recent actions are likely to add further fuel to the flames of on-going Sunni-Shia regional sectarian battles. A Saudi decision to become more actively involved in the Syrian quagmire would increase tension further still. The mutual fear of Iranian ambitions has drawn Israel and Saudi Arabia closer and officials from both countries reportedly met at least five times since 2014. Small additional steps towards a more public relationship between Israel and the Gulf states have taken place. The UAE recently allowed an Israeli office to open (accredited to the International Renewable Energy Agency), and Israeli Foreign Ministry Director General Dore Gold was interviewed by a Saudi newspaper. However, Israel’s ability to build on these converging interests with a deeper and more public relationship will be limited without significant movement towards resolution of the Israeli-Palestinian conflict. Challenges in the Palestinian Arena. Undermined by daily violence, wide gaps between the sides on the core issues, and American and European priorities focused elsewhere, the Israeli-Palestinian conflict is unlikely to be resolved in 2016. Israel will most likely continue to be challenged by the wave of ‘lone wolf’ Palestinian violence that shows few signs of receding. The disintegration of institutional order in the Palestinian Authority (PA) and its decreasing legitimacy within Palestinian public opinion may ultimately threaten continued security coordination between the sides, a step which would further undermine the situation on the ground. Indeed several members of the ruling Fatah party have already called for the cessation of such coordination and the escalation of violence. Reports meanwhile suggest Hamas plans to renew suicide bombing in the West Bank. As violence continues and even escalates, two competing approaches in Israel may gain greater traction. Those on the right – many of whom form part of the ruling coalition – will increase calls for tougher responses against the PA and accelerating settlement construction. On the political centre-left meanwhile, former security officials and analysts who believe Israel can advance its strategic interests by gestures and initiatives will continue to promote proposals outside the classic bilateral negotiation track – whether unilateral or in conjunction with regional and international interlocutors – in order to advance a two-state solution. Domestically, Israel’s ruling coalition remains fragile and it would be unsurprising if an election cycle were to be in full force within 12 months time, or if the coalition has a different makeup. On the Palestinian side, the continued absence of a political horizon may strengthen voices calling for internal national unity. Palestinian President Mahmoud Abbas is likely to continue juggling alternative strategies to negotiations such as reconciliation with Hamas, internationalisation, or ‘popular resistance’, but without succeeding in preventing the waning of the PA’s domestic strength, legitimacy and credibility. The Palestinian President is almost 81, has publically stated his intention not to compete again in elections, and has appointed no successor (or deputy). Whether his rule ends in 2016 or not, ‘the day after Abbas’ will be a leap into the unknown for the Palestinians and for Israeli-Palestinian relations. Another game changer would be the collapse (or dissolution) of the PA itself, caused either by a Palestinian decision to ‘return the keys’ and the civic burden of governing the West Bank over to Israel, or simply by accumulated frustration, pressure or violence reaching a tipping point. In Gaza, Israel will need to maintain deterrence against a Hamas entity which demonstrated its significant military capabilities – rockets, underground tunnels into Israel, unmanned aerial vehicles, maritime infiltration attempts – during Operation Protective Edge in the summer of 2014. At the same time, in 2015 it was Israel, more than the PA or Egypt, which showed most interest in improving the functioning of the Gaza Strip. But with donor funds in limbo due to Palestinian failure to agree a role for the PA at Gaza’s border crossings, and the Egyptians clamping down on Hamas, the underlying problems facing Gaza remain, and the potential for another round of violence will increase over time, especially if Hamas continues to restore its offensive tunnel capability that could reach into Israeli territory. Salafi Jihadist groups have challenged Hamas’s authority by firing rockets from Gaza in the last 12 months, and may continue to do so. Meanwhile, despite some ideological differences, recent reports substantiate Israeli claims of cooperation between ISIS affiliates in the Sinai and Hamas’s armed wing (the Al-Qassam Brigades) in the Gaza Strip, which is likely to inhibit reconciliation between Hamas and Egypt. Israel-US Relations: Iran, the Palestinians and Enhanced Military Aid. Maintaining strong relations with the US – regardless of who is in power – remains a cornerstone of Israel’s national security doctrine. Despite diplomatic tension between the current Government and the US administration over policy differences on the Palestinian issue and Iranian nuclear deal, Israel has enjoyed close military ties with the administration throughout Obama’s presidency, which look certain to continue into 2016 and beyond. Indeed, although the current $30 billion military aid package is due to expire in 2017, Israeli officials have expressed a preference to renew it before the end of Obama’s term and the sides are likely to negotiate a ten-year military aid package during the coming year. Following PM Netanyahu’s very public disagreement with the Obama administration regarding the Iranian nuclear deal, it will be essential for Israel to work closely with and alongside the US in agreeing on mechanisms to ensure full Iranian implementation of the agreement. Israel should also do its best to maintain bipartisan American support and to steer clear of becoming a wedge issue between Republicans and Democrats during the upcoming Presidential campaign. The two sides will continue to disagree over the best way forward on the Palestinian issue. The Obama administration seems resigned to leaving office without the establishment of a Palestinian state, but may call for concrete Israeli action to reaffirm its commitment to the two-state solution or might even suggest permanent status parameters of its own before the end of Obama’s term. Looking further ahead, the next occupant of the White House – whether Republican or Democrat – will most likely promote a more assertive policy than the current administration. The consequences of Russian regional involvement: Russia’s military involvement in the Syrian Civil War has generated a new strategic situation to Israel’s north, although disagreement exists within Israeli policy circles as to its exact consequences. Military coordination exists between the two countries and Israel has successfully maintained its policy of intercepting strategic game-changing missiles headed from Syria to Hezbollah in Lebanon. Some analysts believe the Russian presence will restrain Iranian-Hezbollah ambitions against Israel on the Golan. Others in Israel’s security establishment express concern that the Russian presence in Syria will facilitate the strengthening of the Iranian axis and its hold on the country, and may ultimately restrict Israel’s freedom of aerial activity. Moreover, the geographical proximity of sophisticated anti-aircraft systems such as the S-300 and the S-400 may adversely affect Israel’s freedom of operation in the skies. Others fear that Hezbollah’s closeness to Russian forces will enhance the group’s ongoing shift toward a more offensive-minded strategy, with significant implications for the planning and conduct of any future conflicts against Israel. Instability in Jordan and Lebanon. The sizeable numbers of refugees from the Syrian civil war are causing instability in Israel’s neighbours, particularly Lebanon and Jordan. Lebanon, which has a long history of ethnic tension between Sunnis, Shias, Christians and Druze, and which has lacked a functioning government for the past 18 months, has been forced to cope with more than one million Syrian refugees, amounting to one quarter of the country’s population and upsetting the fragile demographic balance of the country. Jordan – threatened by ISIS and a faltering economy – hosts over 600,000 Syrian refugees (in addition to refugees from the Iraq war). Israel considers the stability and prosperity of its eastern neighbour to be a central element of its national security policy and the two countries will continue to engage in close security coordination against Jihadist and terror threats. Israel will also likely continue to facilitate Jordanian trade – which passes through Israel rather than Syria – and looks set to provide Jordan with an alternative gas supply after the repeated sabotaging of pipelines from Sinai. Energy policies and the potential for renewed Israel-Turkish ties. Offshore gas discoveries in the Eastern Mediterranean not only allow Israel to become self-sufficient in energy but also to consider energy exports. Politicians and policy makers continue to debate whether Israel’s gas reserves can strategically alter its geo-political situation and to what extent energy cooperation can help facilitate the resolution of political disagreements. Israel’s heated domestic debate has been plagued by populism and bureaucratic sluggishness and it remains to be seen whether Israeli energy exports to Jordan and Egypt (which the government has pushed for) can help deepen its relations with its Arab neighbours. One significant consequence of Israel’s new energy capacity would be renewed relations with Turkey, which soured following Israel’s Operation Cast Lead in December 2008 and the Mavi Marmara affair in 2010. Turkey, smarting from regional isolation and its recent feud with Russia, is in need of energy for its domestic market and is conveniently geographically located to serve as an energy transport hub for Europe, although it may also need to come to an arrangement with Cyprus. Resolving their remaining differences over the blockade of Gaza would allow Israel and Turkey to enjoy the strategic and economic benefits normalised relations would bring. Tel Aviv University Professor Asher Susser once quipped that the main threat facing Israel after the so called ‘Arab Awakening’ is no longer Arab strength, the accumulation of conventional armies, but rather Arab weakness, the erosion of the state system and the ensuing chaos. Indeed, the weakening of state power among Israel’s neighbours and the dangers posed by the sub-state actors filling that vacuum do represent significant challenges. Much of Israel’s recent national security policy has been based around what Natan Sachs in a recent Foreign Affairs article calls strategic conservatism – biding one’s time and managing conflicts rather than rushing to solve them before conditions are ripe. As Sachs points out, there is an underlying logic to this strategy, namely the belief that there are currently no solutions to the challenges the country faces and that seeking quick fixes to intractable problems is dangerously naive. Yet while this is true in some arenas – most notably in the tumultuous Syrian Civil War – there are other fields in which a more creative national security policy to take advantage of opportunities might be more beneficial. 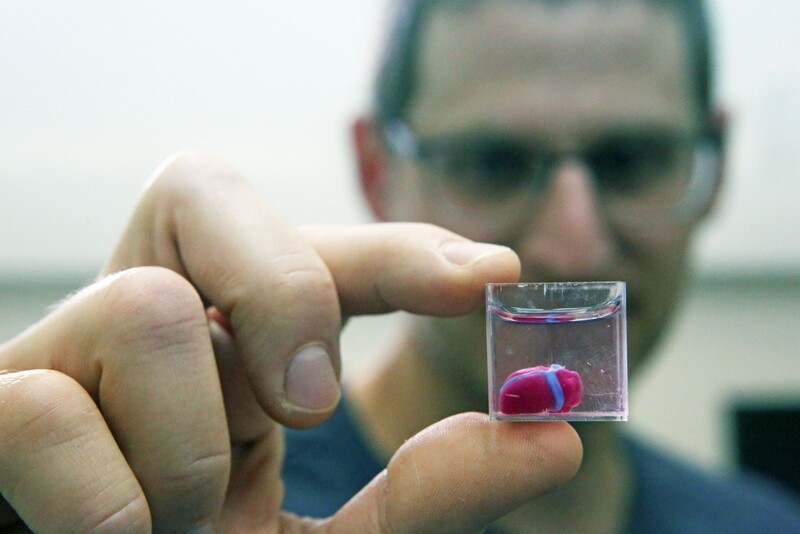 The Iran deal, though problematic in terms of its facilitation of Iranian regional ambitions, provides a ten-year window for Israel to build military and technological capacities to frustrate any potential future threat. Israel could do more to strengthen its relationship with the US, the traditional bedrock of the country’s national security doctrine. And even the Palestinian arena – where most Israeli policy makers are sceptical of the possibility of an ‘end of conflict’ permanent status accord – provides possibilities to take the initiative and strengthen the framework of ‘two states for two peoples.’ It remains to be seen to what extent Israel will succeed in balancing the strategic conservatism required to best manage the very real threats it faces with the activism needed to take advantage of the opportunities the current regional situation provides. Asher Susser, ‘Israel’s new strategic environment’, Fathom, Winter 2013; Itamar Rabinovich, ‘The end of Sykes-Picot? Reflections on the prospects of the Arab State System’, Brookings Institution, February 2014; Hassan Mneimneh, ‘The Viability of a Second Sykes-Picot’, Washington Institute, 2/10/2015; Nick Danforth ‘The Middle East that might have been’ , The Atlantic, 13/2/2015; FOCUS: The Middle East, ‘Hallucination, and the Cartographic Imagination’, Discoversociety, 3/1/2015; Thomas E. Ricks, Do Iraq and Syria no longer really exist?, Foreign Policy 20/10/2014. Israel’s security establishment distinguishes between semi-state groups such as Hezbollah and Hamas which possess hybrid political and military components and which are guided by certain political considerations in their foreign policy on the one hand and non-state revolutionary organisations such as ISIS on the other. For the purpose of this paper, all these groups are referred to as sub-state. Ian Bremmer and Nouriel Roubini, ‘A G-Zero World’, Foreign Affairs, March/April 2011. ‘Mirant Crisis: Migration to Europe explained in graphics,’ BBC News, 22/12/2015. Jeffrey White, ‘A war like no other: Israel vs Hezbollah in 2015’, Washington Institute, 29/1/2015; AP, ‘Hezbollah hiding 100,000 missiles that can hit north, army says’, Times of Israel 13/5/2015. JNS, ‘IDF Outlines Defense of Southern Airport, Braces for Islamic State-Linked Attack’, The Algemeiner, 13/3/15; ‘Report: Israel worried Egypt’s Sisi might fall to jihadist insurgents’, Jerusalem Post, 7/11/15; Amos Harel, ‘Israel’s Military Chief: Only Russian-American Alliance Can Defeat ISIS’, Haaretz, 10/12/2005. Ron Ben-Yishai, ‘Seeing through the darkness’, Ynet, 16/9/2015; Yoav Zitun, ‘Hundreds of Islamic State militants amassed at Israel’s border’, Ynet, 31/12/2015; Yaakov Lapin and Ben Hartman, ‘IDF preparing for possibility of ISIS approach to border’, Jerusalem Post, 30/12/2015; Batsheva Sobelman, ‘Israel worries about threat from Islamic state’, LA Times, 27/12/2015. 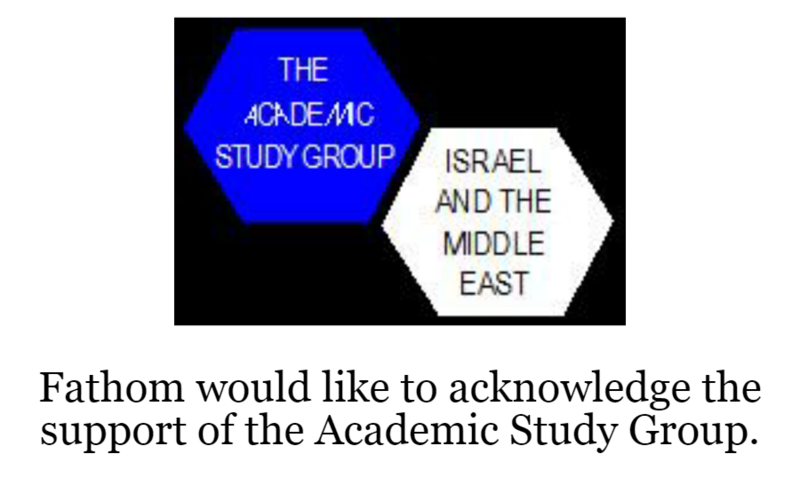 David A Graham, ‘Israel and Saudi Arabia: Togetherish at last?’, The Atlantic, 5/6/2015. Avi Issacharoff, ‘Hamas seeks to orchestrate suicide bombing, PA says’, Times of Israel, 18/12/2015; Khaled Abu Toameh, ‘Fatah officials slam PA for preventing Palestinians from clashing with IDF’, Jerusalem Post 30/12/2015. Gilead Sher, ‘Israel should take the initiative’, Brookings Institution, 7/10/2015; The Israeli Peace Initiative; Jeffrey Goldberg, ‘Israel Cannot Absorb 3.5 Million Palestinians and Remain a Jewish and Democratic State’, The Atlantic, 25/6/2015; Hilik Bar, ‘Israel’s other existential crisis comes from within’, New York Times, 20/8/2015. Amir Tibon and Grant Rumley, ‘The death and life of the two state solution’, Foreign Affairs, July/August 2015; Grant Rumley, ‘An unholy alliance – Abbas’ rivals unite against him’, Foreign Affairs, 23/12/2015. Zvi Magen, Sarah Fainberg, and Benedetta Berti, ‘International activity and the Syrian Crisis’, INSS Insight no. 764 8/11/2015; Brig. Gen. Muni Katz and Nadav Pollak, ‘Hezbollah’s Russian Military Education in Syria’, Washington Institute, 24/12/2015; Yaakov Amidror, ‘Syria’s unraveling gives war to new regional order’, BESA Center Perspectives Paper no.317, 1/11/2015; Eran Lerman, ‘Russian Ambitions and Israeli opportunities in the Partition of Syria’, BESA Center Perspectives Paper no. 315, 22/10/2015; Amos Yadlin, Carmit Valensi, ‘Russia’s involvement in Syria: A Strategic opportunity for Israel’, INSS Insight no. 755, 20/10/2015; Zvi Magen and Udi Dekel, ‘Russian Involvement in Syria: What has changed, and the significance for Israel’, INSS Insight no. 752, 7/10/2015; Judah Ari Gross, ‘Russia deploys S-400 Missile battery in Syria, state media says’, Times of Israel, 26/11/2015. Yaakov Amidror and Eran Lerman, ‘Jordanian Security and Prosperity: An Essential Aspect of Israeli Policy’, BESA, 27/12/2015; Ari Rabinovitch and Tova Cohen, ‘Truck by truck Israel builds trade gateway to the Arab world, Reuters, 1/7/14; Marissa Newman, ‘Israel signs $15 billion gas deal with Jordan’, Times of Israel, 3/9/14. Zulfikar Dogan, ‘First the Middle East, now Central Asia slipping away from Turkey’, Al-Monitor, 6/1/2016; Simone Tagliapietra, ‘Turkey as a Regional Natural Gas Hub: Myth or Reality?,’ Turkish Policy Quarterly (2014); Brenda Shaffer, ‘Israel—New Natural Gas Producer in the Mediterranean,’ Energy Policy 39, no. 9 (2011). Natan Sachs, ‘Why Israel Waits: Anti-Solutionism as a strategy’, Foreign Affairs, November/December 2015.